Dr. Alex Namikas, D.D.S. - Lawrence Thompson Architects, INC. 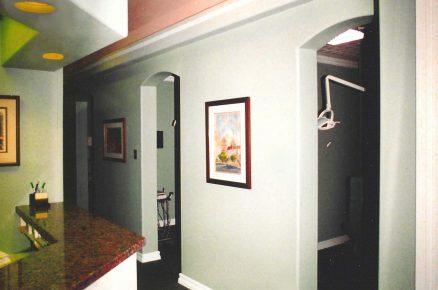 Dental Office for Dr. Alex Namikas, D.D.S. 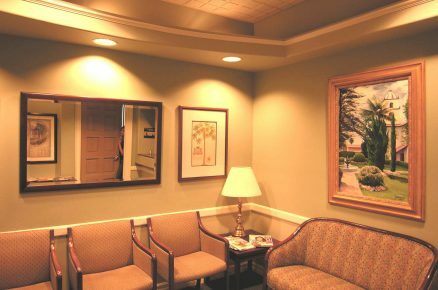 This clinic is located in a large professional building at 3555 Loma Vista, Ventura, yet all the five operatories and a consultation room have ample view windows and daylight. 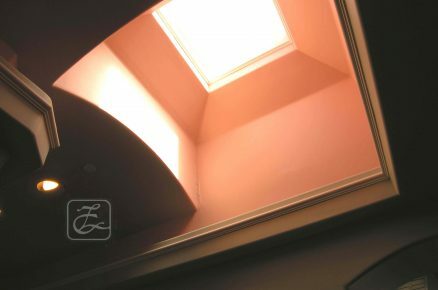 The color scheme, complemented by a salmon ceiling color for the barrel-vaulted hallways, keys on a restful wall color which is repeated in the soffits of the operatories and ancillary spaces. The crossing of the halls has a skylight which accents both halls, highlighting the interior. 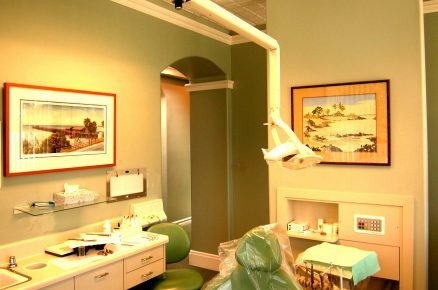 Fitzpatrick Dental, Consultants.